To Ata and the staff, of the Blue Nile Hotel.Lake Tana. The largest lake in Ethiopia and the source of the Blue Nile. Central to the lives of the people of Bahir Dar, Ethiopia’s seventh largest town. On my last day in Ethiopia, I sat blessed by the sun, under an awesome fig tree, on the lakeside, relaxing in sweet reminiscence…..
Cycling up to the Blue Nile, weaving in and out with the three-wheeled taxis. Sharing the road with the cattle; letting the goats and their herder pass by. Back around the lake, I bought lentil samosas called sambuusa, from two boys. Passing a marshy area, I stood and watched a farmer, tending to his mangoes and papayas. Onwards to a little wooded area, where a musician in a wheelchair, playing a traditional harp called begena, entertained those who gathered around. Passed a spot where people bathed. Soap and laughter in the water. To where the man was making a tankwa, a canoe-like craft, made from papyrus reeds. I was told it took a day to make the smaller ones, two days for the larger. They have been making them that way since time began. The children, diving off rocks and splashing around. The adults chatting around them. A solitary fisherman in his tankwa, checking his nets. Watched by the pelicans and I. The journey across the lake, to the medieval island monasteries on Genna (Christmas Day - Jan.7th). Ibises flying above me. Near the Debre Maryam Monastery isle, where the lake becomes the river, I saw the heads of two hippopotamuses. I had a chat with some guys under a tree of shade, speaking of Ethiopian history: buying drinks from a lakeside bar. I wish I could have sat longer under that fig tree. But it was time to go. So I searched along the bank, finding pieces of volcanic rock to keep as souvenirs, alongside the mementos, sparkling in my head. We will always speak of Chinua Achebe. Let us speak now, of Yaqub al-Kameni. To speak of the meeting, between the two called Yaqub. One a poet, the other a sultan. The meeting where the latter received the former. Where Yaqub al-Mansur was so impressed - that he gave him permission to teach, in the city of Marrakesh. Through the late 12th/early 13th centuries; with his teaching in Morocco, and his travels in Spain - he become known as the first sub-Saharan scholar, to have written in Arabic. I mention him whenever I can. First among thousands; dispelling the belief, that literacy came, with those from Europe. I salute Yaqub al-Kameni, of Kanem-Bornu State; a truly Adamic figure, in the creation of African Literature. We will always speak of Cyprian Ekwensi. © Natty Mark Samuels, 2013. ‘Undefined Silence’ deeply explores the good and evil sides of human nature. It challenges humanity to redefine their history and culture; and it examines the complex and dynamic relations between love, philosophy and poetry. 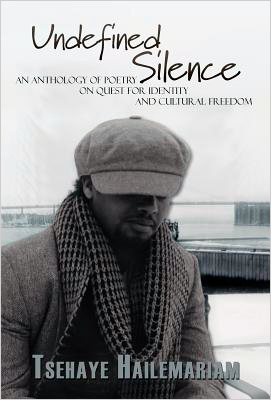 Most of the poems in the book are exotic, and dramatically differ in their style, form, use of language and content. But they are all for you to read with delight; and if possible, to use as comfort and guidance as you struggle against segregation, injustice, and the ideological sources of “man’s inhumanity to man,” racism and inequality. to Sister Mary Dread, of Rastaites. For all that she does. They say that behind every great man, there is a great woman. So it was with Tafari Makonnen, a young man, from the Ethiopian nobility. From 1911, the year of their marriage ceremony, until 1962, the year of her physical passing; Menen Asfaw, became his trusted confidant and adviser. This princess, born in Wollo province. It was said that at their first meeting, there was a recognisable mutual attraction. With a deep faith in God and an abiding belief in each other, they generated an aura of love. For fifty years, he turned his ear to her; his beloved wife of quite wisdom. Sing of Empress Menen too. She sometimes deciphered the clue. I see her rising from the bed. From the repertoire of Saint Yared. Invocation before sleep as well. She who had funded the restoration and building,of many churches and monasteries; especially of those, located in the poorest areas. Money from her own resources; land of her personal holding. A devout woman, who always gave. Of her time, skills and finances. Like a patron saint of generosity. For female as well as male. For those in need of braille. The daily need of fire. A microorganism and a fly. So she supported hospitals, as well as schools; for healthy bodies, ready to learn. Took seriously her position, as Patroness of the Ethiopian Red Cross. During the bombing, she went from place to place in a car; dispensing first aid – uplifting the fallen. Like her beloved, manning a gun at the front; she also spent time, in the heat of the battle. What could six planes do? The dropping of something new. Foot soldier as well as the Ras. She took all her roles seriously. Like that of Patroness, of the Jerusalem Society. An organisation of her founding, to facilitate pilgrimage to the Holy Land. To make it easier, for those who wanted to draw strength, from the holy sites: and pray in the Ethiopian Church, in Jerusalem. On the banks of the Jordan River. And converse with the Creator. Are you getting the picture? Beginning to understand, the depth of respect, between them. The reason why Ras Tafari broke with tradition, at the time of coronation. Coronated Princess Menen, the same day he was. In the past, this would have happened, three days after his. As an example of his devotion, they walked out together, from St. George Cathedral - Empress Menen, alongside Emperor Haille Selaisse. A joint mandate to provide. Two birds of one feather. How it must have torn her heart, to see him on his return, from the front. Tired, worn out. Slow step of mind and foot. A man approaching desperation. In the lives of the Nine Saints. By a bomb entitled demolish. He offered to help rebuild it. In 1942, as well as the rebuilding of the Empress Menen School for Girls, she founded the Empress Menen Handicraft School. But first, let me return to the former. This school for girls, probably her most well known project, was founded in 1930 - the first school for girls in Ethiopia. It took borders, as well as day students. She made regular visits there, officiating at the graduation ceremonies. Enlarging it’s student intake, as time went on. She funded female foreign studies. The Handicraft School was a training centre for artisans, female as well as male. Offering instruction, in crafts such as silver working, embroidery, carpet weaving and dyeing. As well as English, Maths and Amharic. New aspirations, for the common man. Came the people of skill. She done so much. This women, who knew personal tragedy, as well as national mourning. Her life with Ras Tafari, was blessed with six children. They buried their daughter, Princess Tsehay, in 1942; their son, Prince Makonnen, in 1957. Their children below the sod. Seeing light through the dark mystery. Lived without pedestal or perch. Immersed in a chapel or a church. Never strayed from the path of humility. They dreamed and implemented together. In his endeavours to eradicate slavery, she set up schools, to educate those who were formerly owned. They were the prop and pillar of each other. Through external manipulation and internal conservatism. Through war and asylum. Like an eternal treaty, between Sister Solace and Brother Boost. And the gardens named Empress Menem. The first three to five minutes of this play will consist of quotes and excerpts from the speeches of Wangari Maathai, including the Hummingbird Story. During the above, the actress is seen planting and tending trees. When the quotes and excerpts finish, she sits; and after a few moments, her monologue begins . There is mud under your toenails, your feet camouflaged by dust. Come, Great Sister of ours, place them in these calabashes of water, so I can wash away all the dirt. After drying them, I shall bless them with oil. Some have gone to prepare food, especially for you. Another has gone to bring water, to quench your thirst. You, who have struggled to improve our lives; please give us some time, so we can demonstrate our gratitude. You have given us a way to go forward, like a donation of dignity. Wangari Maathai, you lead us on the path, that keeps our heads held high. After this washing, these two calabashes shall no longer be in use. They will hang on the wall of my dwelling, or where my sistren think best. Special mementos; of she who pointed us, then walked beside us, in the direction we should go. No longer to be used for the storing of porridge, or beer mixed with honey. They will be our Sacred Souvenirs, of Our Lady of the Trees. I always have that poem with me. It means as much to me, as the Noble Peace Prize, or any of the awards and degrees I have received. This little poem, written by a woman from a Kenyan village. It thrills me and lifts me, every time I read it. She says it all. And with our songs of green places, we shall continue to raise our voices. Come with me to Gakanga. A new panorama in Central Kenya. I go to different places, but it’s the same message. Nairobi, New York, London, Paris and Oslo. That if we respect the Earth, it will provide. But we have taken and not given back. So the soil is going away. So today is a day for planting. As a girl, collecting firewood meant a short walk of chat and laughter, not the gruelling trek of today. Once upon a time, clean water was an everyday blessing; now that blessing is becoming rare. Today is a day for planting. Trees to halt soil erosion. That bear fruit to combat malnutrition. For firewood and for shade. For fencing and construction. Trees to generate water. To clothe the naked hillside, to dress the ragged earth. Alongside the tree planting, there were classes in nutrition; plus workshops in family planning. Some have trained to be nursery managers, bee keepers and forest rangers. The women of the villages rose up and walked. Not the plod or the trudge-no. The stride and the bounce. I’ts been a real privilege to step amongst them. Something rare, totally refreshing. We spoke with pride of each other. We propped and picked each other up-and kept going forward. Because we were mothers, we did what the men of our government refused to do. When did economic interests, become more important than the health of our children? Women of Kenya, wherever we go, we must plant seedlings; and protect the trees that remain. The sound of a beating, screams and a fall. Officials of Kenya, how low have you fallen? To beat unarmed women, peacefully protesting. Would you beat your mother that way? Lock her in a cell where she lays in water? For trying to protect the environment; an improved future for a battered Kenya. When there was so much to do. Part of the Greenbelt Crew. Along came brutality, looking like my son. Then water on the cell floor, mixed with that from my eyes, as my tears began to fall. When I first left Kenya in 1960, to study in America, I was determined to return to make my contribution. Watching the state brutality against civil rights protesters; I never for a moment thought, that my country, soon to be independent, would follow a similar course. That I would come to know, the cold and concrete of Lang’ata Women’s Prison. Up and away on the Kennedy Airlift. I was one of the chosen: to be sponsored by then Senator J. F. Kennedy, through the Joseph P. Kennedy Foundation, with some assistance from the U.S State Department. The father of the current president, was also flown out in that airlift. In 2006, I planted a tree with then Senator Obama, in Uhuru Park. This was also the year my autobiography was published, entitled Unbowed. Four decades after that wonderful take-off. A visionary airlift supported by dreamers; such as Tom Mboya, Martin Luther King, Andrew Young, Sidney Poitier and Harry Belafonte. At a time when most village girls were not sent to school; I was flown to New York, then to the Mid-West, where for four years, I became a Kenyan in Kansas; in a town on the Missouri river, called Atchison. The awe of everything in first-time New York. Skyscrapers, like silver sentinels of commerce. Black Americans, black as me. The quick magic of high-rise elevators, slow trickery of escalators. Our heads continually turning, hopefully recording; snapshots of another planet. Sharing this strange phenomenon, with my old school friend, Agatha Wangeci, who has became a life long friend. After a few days in New York, we took a legendary Greyhound bus, dropping students off here and there, until we got to Aitchison. To a college called Mount St. Scholastica, run by Catholic nuns, as was my previous school in Kenya. The Benedictines, were amongst the first settlers in Atchinson. I loved that place and all those within it. Sister Imogen and Sister Marcella. Fellow students like Florence Salisbury and Margaret Malone. Names and faces close to me, never to be erased. Of brilliant mentors and beautiful friends. The walks along the Missouri. The carpets of red gold and green, when autumn came around. Letters of excitement, to my beloved elder brother, Nderitu; who was the instrumental figure, in my first attendance at school. May God bless all his days. The dancing - with boys too! Dancing wasn’t aloud at Loreto Girls’ High School, which was the only Catholic secondary school for girls in Kenya, at that time. But what was frowned upon at my last school, was welcomed at my new one. So what I had done naturally as a little girl, I re-learnt again as a young adult. We students celebrated each other through dance and soda pop. Students from Asia, Africa and America. I never danced much then, but when I did, I could rock as good as the next student. Now, one of my favourites is Angelique Kidjo, from the West African country of Benin. On the 12th of December, 1963, the Kenyans in Kansas, gathered in the city of Lawrence, to celebrate Kenyan independence. Kenyans and Americans; eating, drinking, singing and dancing. Listening to speeches Toasting a hero called Kenyatta. I left St. Scholastica with a BSc degree in Biology. Going onto Pittsburg University, where I gained a MSc degree in Biological Sciences; through the guidance of Professor Charles Ralph, who became a real friend. I also remember the dance of thirty years later. The victory dance of Uhuru Park. The dance of those who’ve realised that solidarity works. Applauding and embracing each other; our Uhuru ululations. And after each victory, I always planted a tree. For me, trees represent hope; like symbols of salvation. A short interlude beginning with ululating and clapping; then cowbell and assorted percussion. Our green oasis called Uhuru. From those such as me and you. In a park the State called Freedom. Uhuru Park, in the centre of Nairobi. Where they tried to ruin the skyline and block out the sun. Congestion and the cutting down of trees. A desecration of this park that blesses one and all. Even now, I love to sit beside that lake. To watch the herons. The lovers hand in hand. The flight of frisbees; the parade of picnics. Young men playing football; their female fans, cheering for their favourites. Elderly women watching their grandchildren; old men playing bao. Someone reads a book, another does martial arts. A place of fantasy and adventure for the little ones; a portion of peace for the older ones. Parliament and it’s press vilified me, fuelled by it’s song of sexism. But not everyone joined their choir and it’s sad dirges - the brutish ballads. Instead, we came together, composing and singing our own anthems; with choral support, from within and outside the country. We continued to sing from the same songsheet, till finally victory was ours. Victory for our oasis of green, shining from it’s concrete setting. Before the victory, the battles. Our landslide lamentations. Topsoil, dirtying the water. The good land of ancient staples, now used for tea and coffee - the curse of the cash crop. People reverting to eating substitutes; high in carbohydrates, but not much else. The battle of sick children. Grass has gone and so has fodder. The battle of thin cattle. Did you cry, ancestor Gikuyu? Did your beloved wife Mumbi, weep beside you. To see the cutting down, of an ancient fig tree. Like Mount Kenya, a monument from our beginning. For those of us who are Kikuyu, our ancestral story tells us this; that the children of Gikuyu and Mumbi, were conceived in a fig tree grove. I cried myself to sleep that night, for we have never cut fig trees; sources of clean water, shade and fruit. A sacred tree. What we’ve taken away, is our responsibility to replace. That was the thinking behind the Green Belt Movement. Plant trees and you bind the soil. Plant trees and the birds will return. Plant trees for that uncertain future, knocking haphazardly at our door. Later on, in moments of sweet contemplation, I sat listening to music; such as the beautiful sound of the Nyaitti, the traditional harp of the Luo people. To the Kamukunji Park ceremony. To heroes of recent history. And an African fig tree. Monumental days, never to be forgotten. Like the day in 1971, when I walked up to a rostrum in the University of Nairobi; on which stood President Jomo Kenyatta, who was also the chancellor of that institution, to receive my Ph.D. in biological sciences. The first women in East and Central Africa to receive a doctorate. At a time when education for females was often dismissed, deemed unnecessary, this was a significant occasion. It’s eternally heart warming to know, that what I achieved forty years ago, continues to inspire young East African women today. Munich and microscopes. For this was the period I spent nearly two years in Germany; undertaking research at the University of Munich for my doctorate, although I was officially registered at the University of Giessen. I remember beautiful parks - winter wonderlands in December, rendezvous of rainbows in July. Walks along the Isar River. Little restaurants and theatres. Bavarian beer and national wines. A young veterinary doctor named Fraulein Koch and a fancy dress carnival called Fasching. I have to thank Professor Rheinhold Hoffman for the German interlude. As head of Veterinary Anatomy at Nairobi University, he employed me as one of his assistants. Due to his belief in my potential and his academic connections in Germany, I was offered the opportunity to enhance my studies over there. Wherever you are today Professor Hoffman, I salute you. But when you’re a child, every day is monumental; interspersed with moments of magic. Every day in springtime, down to the stream of crystal clarity, to watch the blobs that became tadpoles, metamorphosis into frogs. The majestic fig, ancient monarch of the green lands; that I was told was the mysterious provider of that stream. My mother and father - like Shamans of the Soil. Whose mystic qualities, provided me with the magic of millet porridge. The tastes, sensations and colours of life, in a green place of abundant blessings; gifts from the Abedare Mountains. The bananas, sugar-cane and sweet potatoes. The ecstasy of managu berries! My favourite fast-food feast. The wonderland parade of wild animals; zebras, giraffes and antelopes. One of my enduring images is that of the night fire. We gathered around it, while waiting for a meal of corn and arrowroots. Our mothers would regale us with stories and myths, of legendary humans and magical animals, like the trickster dragon, called irimu. But the joy of my childhood, cannot compare with that of the childhood of my children. My daily celebrations of Waweru, Wanjira and Muta. From their first breath until now. Forced to became an expert in time management; the juggling of everything. To ensure quality time with my beloved triumvirate: those precious moments we pray for. We still love being together. We are the root, branch and fruit of each other. I’m glad my treasured trio were not there, at the time of the barricade. My daughters were studying in America and I had sent Muta to stay with his father. It tried to flatten those it could not tame. To arrest, torture and maim. She knew they were coming for her. And talk about the secret burglars. Three days I was there. Then the boots gatecrashed; followed by another bout in custody. In the water and the cold. To try and rub away your arthritis. I could have warmed you in a sister-hold. When agony reached it’s apogee. Because you hobbled on shattered knees. After cold hell and court, where I was charged with treason, I was taken to hospital. The charges were later dropped, mainly due to international efforts, from figures such as Edward Kennedy and Al Gore. Once again the Kennedys stepped into my life. Like the friendship I’ve made over the years with Kerry Kennedy, a human rights activist; daughter of Robert Kennedy. I have been fortunate in my life, to have gained the trust of international figures such as Al Gore, who has become a real ally in this struggle. He wrote about the Green Belt Movement, in his best-selling book, entitled Earth in the Balance. Men of power, who have used their influence, to ease the way for me at certain times. Like during the dark year of 1993. When Mikhail Gorbachev put pressure on arap Moi, to allow me to travel to Toyko, to a meeting of the Green Cross International, which I had been invited to. Although I missed the Tokyo meeting, his intervention gave me the travel documents and passport, that enabled me to travel elsewhere. I was in hiding then - in a place called underground. Going from safe house to safe house; the constant change of cars when travelling. The same dark year they kidnapped Dr. Makanga. No one heard from him, or knew where he was for three days. It seemed to me that year, that if environmental damage didn’t kill us, then tribalism (political and ethnic) would. The recurrent clashes, between the various groups. Between the pastoralist and the farmer, on the land that was rapidly diminishing. And along the great Rift Valley. The divide and rule reality. Thinking of Al Gore, sends my mind back to America. To the year 2002 and Yale University. Of the course I taught there between January and June, on the importance of Sustainable Development. Where I used the Green Belt Movement, as the foundation of the teaching. An extra blessing came along, with the opportunity to take a group of students to Kenya, on a Green Safari. Seeing with their own eyes, the degradation and the enormity of the task at hand. Living with village residents and planting trees. A wonderful, crucial learning experience, for the Kenyans as well as the Americans. Where ever I have gone, I have taken the same message. Whether it be the village meeting or a government house, the rooms of academia, or the conference hall of speeches. I have spoken with Mother Theresa and also the Dalai Lama. Lyric, melody and rhythm always the same. I continue to chant of a Greener Place. I have been singing this song, for more than thirty years: and now I’m seventy-one. Only this cancer can stop my chanting. We sang for a whole year for the political prisoners. Beginning in a corner of Uhuru Park, that we named Freedom Corner. A movement of mothers, fighting for their imprisoned sons. We camped in the park, talking and singing by candlelight. Warmed ourselves with sisterhood and the fire that we made. One of the supporters boosted us further, with music from the traditional flute of the Kikuyu, which we call Wandidi. A short interlude of Wandidi, the Kikuyu traditional flute. Hunger strike in Uhuru Park. We held the Freedom Corner. We stood for the victims of torture. I was knocked unconscious and taken to hospital, suffering from dehydration. I was fortunate to be treated by the trusted Dr. Dan Gikonyo, a respected medical figure, in the pro-democracy movement. After the forced dispersal, the following day some women returned to take up residence again in Freedom Corner. But the forces were there in force. Hundreds of police with armed weaponry. So they took up residence in All Saints Cathedral, opposite Uhuru Park. May the name of Reverand Peter Njenga, always be mentioned with respect; for his beautiful brotherhood. The hunger strike continued, throughout the one year vigil. Male supporters came to guard the doors at night. Prominent figures in the pro-democracy movement, such as Dr. Makanga came in solidarity. Religious leaders from different congregations, came to sing and pray with us. After a year, the fifty-odd prisoners we had campaigned for, were released. We held the thanksgiving service in the cathedral; our sanctuary in a season of storms. The church that did not side with the state; another Freedom Corner. Freedom took a right turn in December 2002, when in the first free and fair elections, for nearly a quarter of a century, arap Moi was voted out of power. A short interlude of the sounds of celebration; featuring an ngoma drum solo, alongside varied percussion. for the light we could finally see, shining at the end of it. Three weeks after this monumental day, I was given the post of Assistant Minister for the Environment and Natural Resources. I had campaigned for the National Rainbow Coalition (NARC), an umbrella organisation of opposition parties. Contesting the Tetu seat, I won 98% of the vote! Change was coming and I was to be an official part of it. A far cry from the days when the government machine and it’s press, continually persecuted me. We danced that day, like we’ve never danced before. People everywhere, like the national flag. Horns tooting; musicians performing. The sharing of drinks, the passing of food. We jumped in our carnival of joy, like the owners of laughter. The ancestors must have heard us; and been happy also. Into the next day too. We danced for something new. I couldn’t help thinking of my mother, wishing she could have been there. The greatest loss in all my existence. She’d died two years previously, at the age of ninety-four. She’d cherished the company of my children, as well as mine. I see her now, making her traditional medicine of herbs and bark. Determined to walk, even though mobility was a struggle. My mother, who I talked with more than with anyone else. My first teacher of the soil. Like an earth priestess of everyday provision. My first and enduring heroine; my anchor. I think of the battle of 1993, when we planted trees for peace. To halt the fighting between the various ethnicities. The Kisi, Sabaot, Luhya, Maasai, Luo and Kikuyu communities. Organising seminars; raising awareness of the increasing degradation, propelled by government corruption. So the scarcity of resources, couldn’t be manipulated by government forces; fuelling the ethnic fire. Reminding me now, of 1966, when I was offered and then refused a position of Research Assistant in the Zoology Department at Nairobi University; because the department head gave it to a male from his own ethnic group. Imagine that - returning to Kenya, burning to begin; to be faced with such a stagnant scene. A new dream, battered by the old nightmare. Two months later, I began working for the Department of Veterinary Anatomy, which led to research in the rural areas and the subsequent thinking, that led to the Green Belt action. In becoming a professor and the chair of this department, I became the first women to attain these positions in a Kenyan University. But what is more important, is that if we plant together, we shall surely grow together; replenishing ourselves and our resources. The battle of blatant avarice. Greed of the gargantuan machine. When they tried to take Karura forest from the people, to partition it amongst the predators. To counteract the violence of man. After the thuggery of the young men and the police savagery, the student riots and the closing of Nairobi University. After the support from those like then U.N. Secretary General Kofi Annan, the American ambassador, figures in the Kenyan clergy, opposition and press; I am happy to say that beautiful Karura Forest, remains a public place for all to benefit from. In 2008, I was gassed again, after leaving government service. It happened in Uhuru Park. I was amongst about a hundred protesters, protesting the enlargement of government machinery, which the country could not afford. A year after the gassing, while attending a UN conference in Copenhagen on climate change, I was named a UN Messenger of Peace; with a special focus on the environment and climate change. I stand alongside other UN Peace Messengers, such as Stevie Wonder, for people with disabilities and fellow Nobel laureate, Elie Wiesel, who focuses on human rights. Our arms are inter-linked, in our determined stride, toward the shared vision of peace. Have you ever heard the word Mottainai? In ancient Japan, the Buddhist monks, conceived a concept called Mottainai. It means respect for the environment; that it is sacrilegious to waste natural resources. So I have ‘resurrected’ this term; under the three Rs and one of my own. Reduce, Reuse and Recycle; plus my insertion Respect. Better to use sisal, to make a bag that will last; rather than the thin plastic bags, used once, that clutter and disfigure the landscape. And if we utilised the sisal plant bags, then we could regenerate the local basketry and weaving industries. Alongside this, the idea and it’s resultant trade could go international, enhancing communities worldwide, as well as here. My 2005 visit to Japan brought another surprise. After more than forty years, I was reunited with four Japanese school friends; from our time at St.Scholastica, in Kansas, America. I have to thank Mainichi Newspapers, for inviting me to Japan and for secretly arranging that fantastic meeting; of tears, laughter and the singing of old school songs. For the revelation of Mottainai. Reminding me that Africans also, need to re-engage or ‘resurrect’, our traditional values, of respect and communal thinking. I remain radiant. Knowing that the Green Belts are growing; that the Movement has moved, taking up residence in other African nations, such as Ethiopia, Malawi, Lesotho, Tanzania, Zimbabwe and Uganda. For the mothers who double as farmers. Soon the Green Belt Movement, or similar initiatives, will take root in those countries too. Then we can do more than pray and raise awareness. We’re coming sisters, we’re coming. We’ll get there as soon as we can. Along this route to Pan-Africanism, I was elated and humbled, to be voted in by the leaders of the Central African States, as the Goodwill Ambassador for the Congo Basin; to assist the people in those areas, to improve the protection and management of the forests. A caretaker of the Congo. That lung of life, that helps to keep the world breathing. A projection showing the Nobel Prize speech - 10 minutes. But it is this poem that goes with me everywhere. A reminder of where I came from and the struggle to where we’re we going - to that Greener Place. That will sustain a better life, for all the people of Kenya, Africa and all humanity. As I sit under this fig tree, sacred to me as it was to Mother Mumbi; facing Mount Kenya, I think of my granddaughter Ruth, my little heartbeat. That she will enjoy the adventure of green places and clean rivers as I did; and my mother before me. That she too will be excited, by the mystery of tadpoles and frogs. And the power of trees. My eyes are tired now and the candle is falling asleep. I shall smile myself to sleep, with this sweet poem of struggle. Knowing I am truly blessed, to have known these women; and those men who walked beside us. Beween the towns of Nyeri and Thika. Come with me to Muranga. to Darren Williams and Kerry Hatwell; for their example of love. She goes to the one she’s engaged to. Plantain beer to toast and regale. To the man that she will marry. Through the hyacinth and water lillies. On the shoreline of Lake Kyoga. To a vow they call forever. © Natty Mark Samuels, 2011.
to Normalisa Chasokela; of the Rose Hill Family Centre, Oxford. The Hausa named me rizga. Eternal tuber of ancient Africa. For stomach ache and for nausea. I’m placed in the mint family. In Zimbabwe they mash me up. In a dish they call Chikone. And their children joyful at play. ‘Cause any which way is nice. A favoured meal alongside sadza. To the house of Normalisa. From what is grown in Nyanja. Are you here for us, precious students? Of your trumpets called bigwala. As we grow closer to the grave. To our rendezvous with ancestor. Who will play at the local festivities? Who will perform for the Kyabazinga? From an ancient trumpet quintet. I play the one called Enhana. In the palace of Bugabula. But who will remember bigwala? From a place called Iganga. Between lakes Kyoga and Nyanza. Alongside the potter, the smith and the basket weaver. to the matriachs of the Kassena, Burkina Faso and to the wise and wonderful Ms. Apu. Celebrate the harvest of grain. To see my grandmother rock. For I’m the youngest of her flock. That is where you will find us. Her dance a movement of charm. Of when to hunt and when to harvest. Rocking till the very end. Smoking their very long pipes. To celebrate time and each other. In a village called Tangassoko. to the Kouyate lineage, one of the great musical families of West Africa, past and present. For centuries your family has praised the Emperors and warriors, the blacksmiths and the hunters. Bassekou Kouyate. You, who gave us a beautiful gift called Segou Blue. Let me take a little time, to sing my praises to you. Ngoni, ancient instrument of the Mande. Older than balafon and kora. Bassekou Kouyate. You, who gives us a beautiful group called Ngoni Ba. Let me take a little time, to sing of your forefathers. to the Kinga of Tanzania, who have an outstanding history of iron making. Playing the music of scarcity. To a grove where a fig tree grows. Would come to an instant halt. Fig tree libation of bamboo beer. They prayed by the sacred fig tree.